Banners and signs have always been the type of marketing collateral that draws the eye. It offers businesses of all sorts a simple and cost-effective way to promote their brand, services or products with minimal effort, yet to absolutely striking effect. At Asset Print, we believe we offer the best banner printing service in the business. Here’s why. Banner signs are not just another one of a long string of services we rattle off when we list the many things we do. It’s a very important and well-developed part of our business. Banner costs can quickly skyrocket if you partner with a service provider who does not keep their prices in check. Have you been asking yourself, ‘where will I find the best banner printing near me’? Our answer is to look for the business who uses their own banners themselves. After all, if a business uses their own marketing collateral to drive their in-house promotional strategy, you can be sure that it will work for yours as well. At Asset Print, we’re all about the banner, so you can rest assured that we know how to pull together business banners that draw the eye and convert in a real and tangible way. When applied correctly, strategic banner design has the potential to bolster any marketing efforts your business may be employing quite substantially. Event banners have been shown to generate increased foot traffic to everything from small, local bake sales to big concerts in cities like Cape Town and Johannesburg. 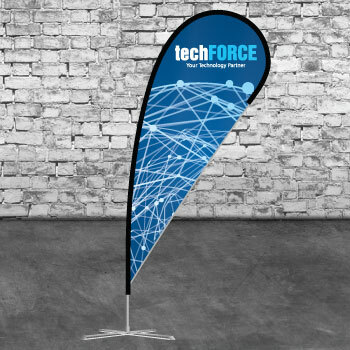 Company banners, on the other hand, provide a lucrative passive marketing opportunity whenever your business is off site, working on a project or hosting an event. By branding the space you are temporarily occupying with outdoor banners featuring your logo and brand colours, you are generating some valuable top-of-mind recognition with passers-by. Banner on building advertising is similarly effective. Likewise, promotion banners are known to draw otherwise disengaged shoppers into stores with the promise of welcome savings; while attractive trade show banners or stall banners are indispensable if you want to differentiate your offering from those of your competitors. Your hands should be completely clean before handling banners, which includes avoiding the use of hand cream, which can stain or leave behind a residue that attracts dust and dirt. If necessary, wear gloves during the banner installation and take-down processes. Large banners should always be rolled, not folded, for storage. Folding creates creases, which can be difficult to remove. If you clean a big banner before storing it, ensure that the banner is completely dry before rolling. Dampness can cause the banner to mildew. 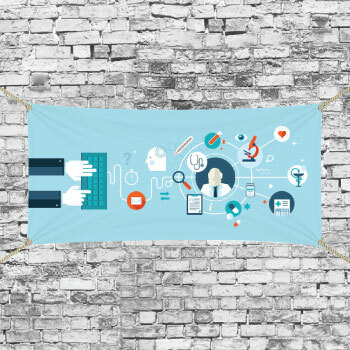 Depending on what you’re advertising, or which target demographic you’re trying to reach with your banner messaging, there are various types of banners to choose from. At Asset Print, our designers are specialists in the application of various media, and know how to help you select the type of banner that would be most suitable to your needs. 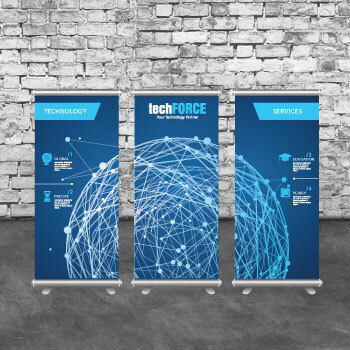 Pole banners or vertical banners may be more effective in one particular setting; while large vinyl banners or a retractable banner would make a more lasting impression in another. The type of display option you choose will ultimately reflect your end goal, so be sure to collaborate with a print and design agency that knows the industry and will be able to assist you in making the best decision when it comes to this type of marketing collateral. Sports banners are one the highest-volume items on our make-to-order catalogue, and with good reason – there is nothing quite like an inspired event- or team banner to create the necessary buzz to draw out sports fans and encourage them to attend a game in their town or city. If your school, venue or sport centre regularly hosts events that call for clear and effective outdoor marketing, a banner is without a doubt one of the most effective tools in your promotional arsenal. These personalised banners would normally come with a hefty price tag, but we are not in the business of damaging your bottom-line. Let’s get you some valuable return on investment; get in touch today so we can discuss your banner order needs. It’s as simple as filling in your details below to receive an obligation-free quote today!